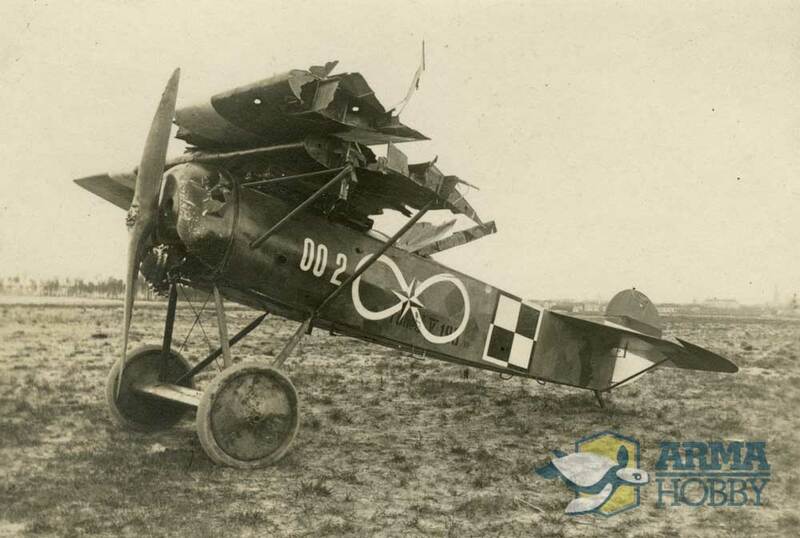 Airplane marked with Polish number „002” is a Fokker E.V captured by Poles in the former Prussian airbase in Poznań/Winiary. It was marked with factory number (Werknummer) 2834 and German military number 193/18. Most probably it was not used operationally over the Great War front as, like other “Razors”, was grounded soon after leaving factory due to wing problems. We don’t know if it had the wing replaced or reinforced, or only has been sent to the rear airbase in the Poznań Zeppelin-halle. Anyway, for newly-born Polish Army Air Force such airplane, almost factory-fresh and modern fighter, was priceless. 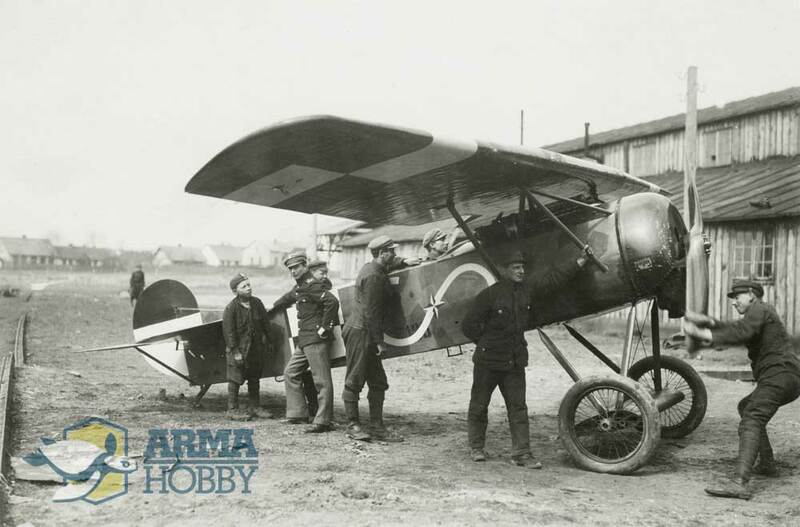 With some other Fokkers it was very soon sent to the Warsaw Centralne Warsztaty Lotnicze (Central Aviation Workshops), where it was numbered “002”, assembled, tested and sent to Lwów on the Polish-Ukrainian war front. For a long time modellers and historians belived, that the Fokker „002”, known from several good quality photos, was from the beginning marked with the „sign of infinity”, similar to the Stefan Stec’s horizontal „S”. It was also belived, that as the plane was flown by Stefan Bastyr, the „infinity” was Bastyr’s personal marking. Such vision of the „002”, differing from the „001” with the non-standard wing checkerboards, was popular among the modellers and enthusiasts. Only the careful analysis of the high-quality photographs, including one showing the three Fokkers on the Lwów’s airfield, caused some doubts. 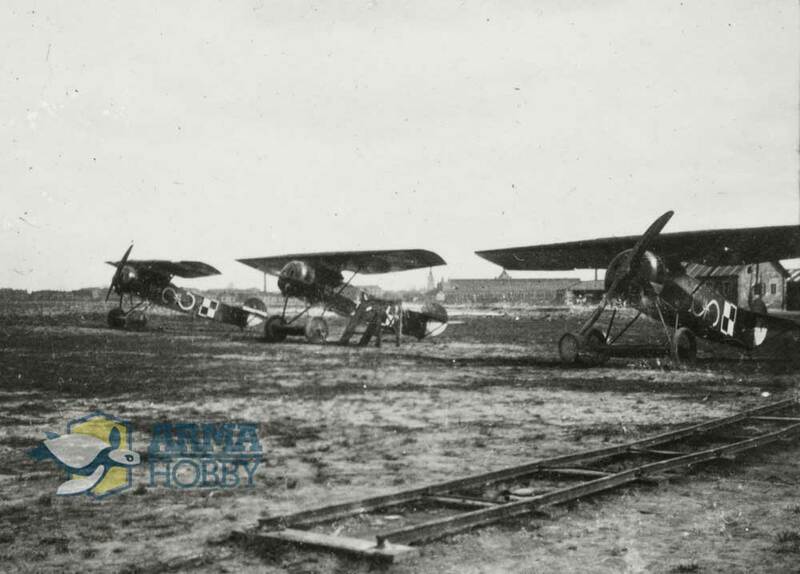 Dated for 3rd May 1919 photography of the three Fokkers on the Lwów-Lewandówka airfield shows two planes marked with Stec’s white “S” and the third – with white chevron. Their numbers are: “001” (Stec), “003” (Bastyr’s “chevron”) and… what? 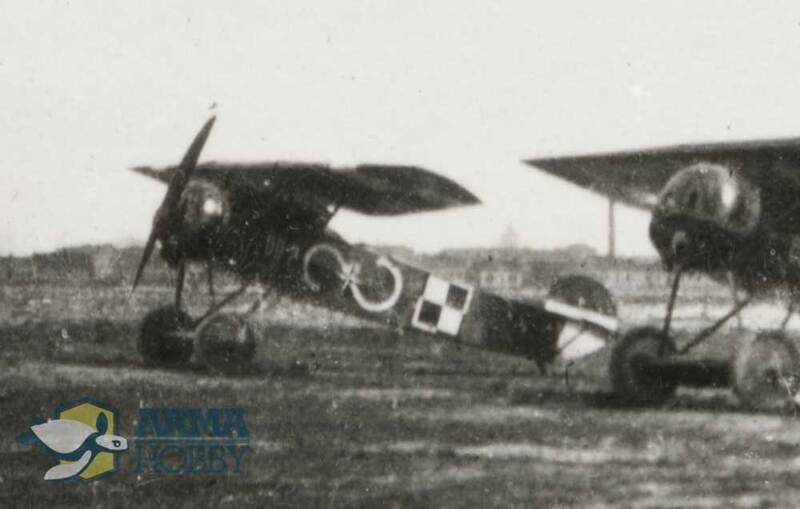 Until the high-quality copy of that photo was unavailable, the plane in the background (“Stec’s second Fokker”) was considered to be “005”, which, according to written documents, was used in Lwów. But not everything was clear. Firstly, the “005”, according to the documents, reached Lwów only on 10th May, and secondly, on the high-quality copy of that photo the number still isn’t clear, but looks more like “002”! Is it possible? To determine the facts, careful examination of all available photographs was necessary. 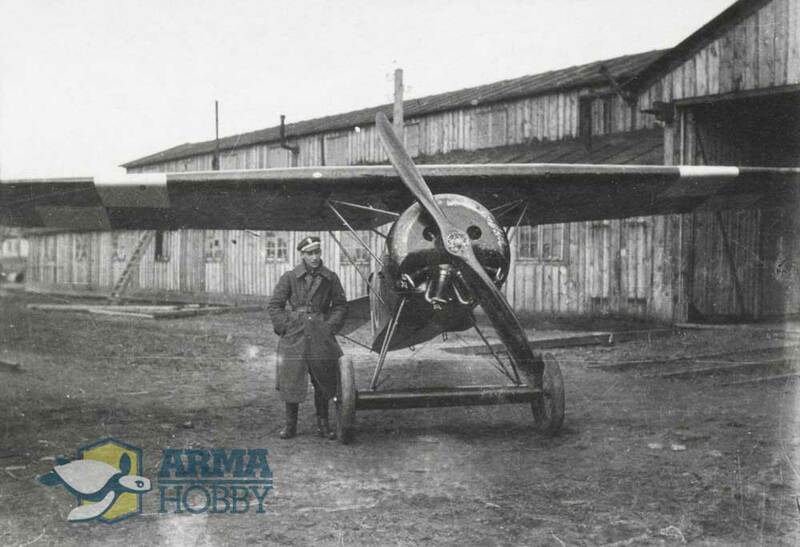 Fortunately, quite a big collection is available, even if there is no photo showing the “Stec’s second Fokker’s” (supposed “005”) port side with the number clearly visible. The starboard side views, with the horizontal “S” and non-standard wing checkerboards, is well-visible on a few photos, but the German serial number (supposed 195/18) is partially overpainted by the “S” and confirmation is impossible. Interesting: two Stec’s “S” on those two airplanes have different shape: on the “001” bigger is the front part, while on “the second one” – bigger is the rear part. It turns out, that while the two “Stec’s Fokkers” (“001” and “that second”) differs in almost every detail from each other, the “002” attributed to Bastyr, is almost identical to the supposed “005”, it has identical (and non-standard!) wing checkerboards, German serials (partially overpainted) may be interpreted both as 193 (“002”) and 195 (“005”), even more, the outline of the big pilot’s personal marking is the same, with smaller front loop, and the “sign of infinity” might have been simply created by adding two lines completing the “S” loops! Could the “002” and supposed “005” be the same airplane? Bu where can we find the final proof? In the even smaller details! 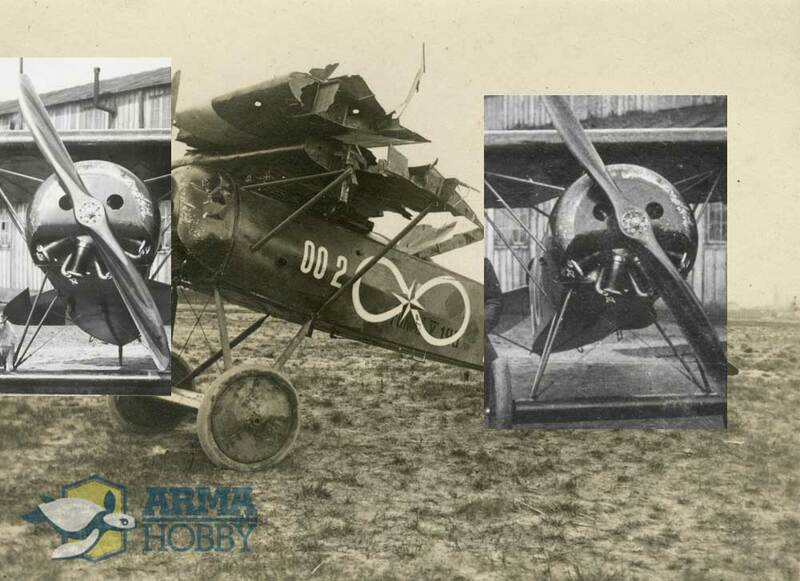 It turns out that the well-visible scratches on the engine cover are identical on the photos of the “Stec’s second Fokker” and on the pictures of the “002” crashed by Ludwik Idzikowski! Idea based on the examination of the photographs is supported also by written documents. Fokker “002” after coming to Lwów was unlucky. 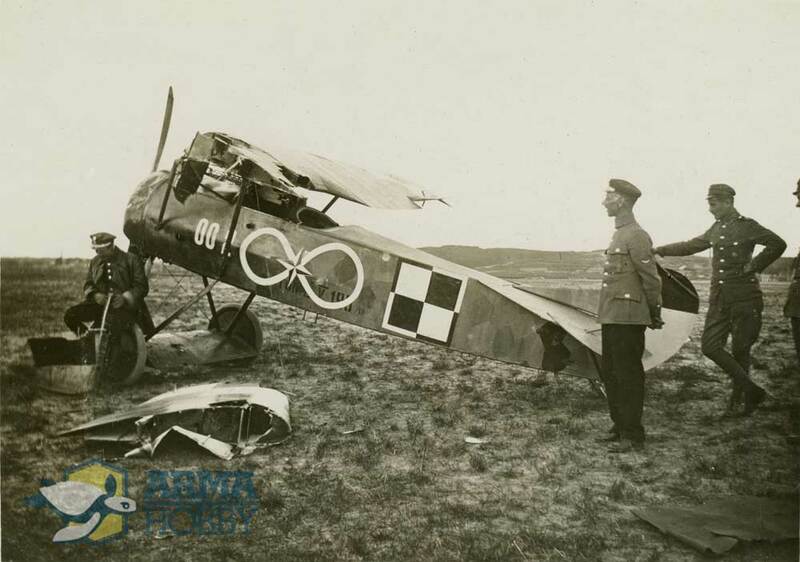 Due to engine problems was almost not used during the most intensive fights of April 1919 (Bastyr flew “003” at that time), and after being repaired, was very soon crashed (another engine malfunction) by Ludwik Idzikowski… Although the marking of this airplane is very attractive and famous, it’s combat record is very modest compared with Stefan Stec’s “001” and Bastyr’s “003”. The final puzzle of the infinity “002” remains it’s personal marking. 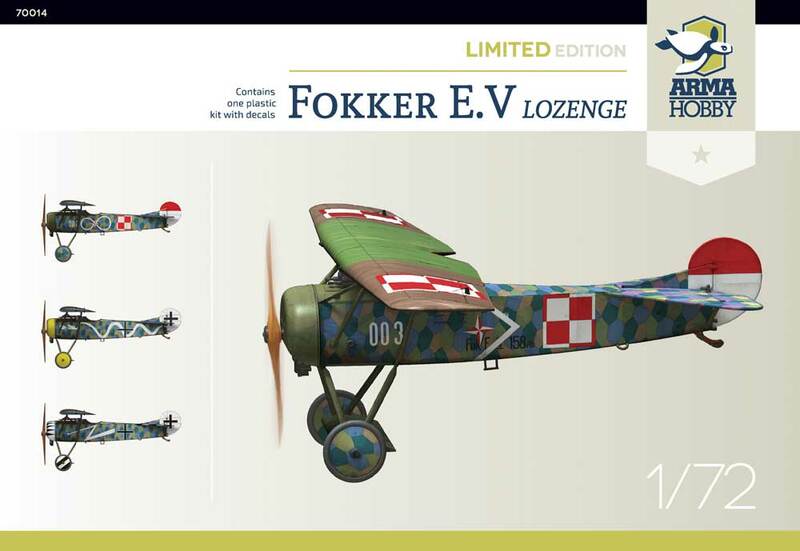 If it is not marking of Bastyr (he used the chevron, both on his “003” Fokker E.V, and, in modified version, on the Fokker D.VII), was it Idzikowski’s marking? Or, maybe, the initial Stec’s “S” was turned into the “sign of infinity” by the witty ground crew, because the plane’s overhaul extended to the… infinity? 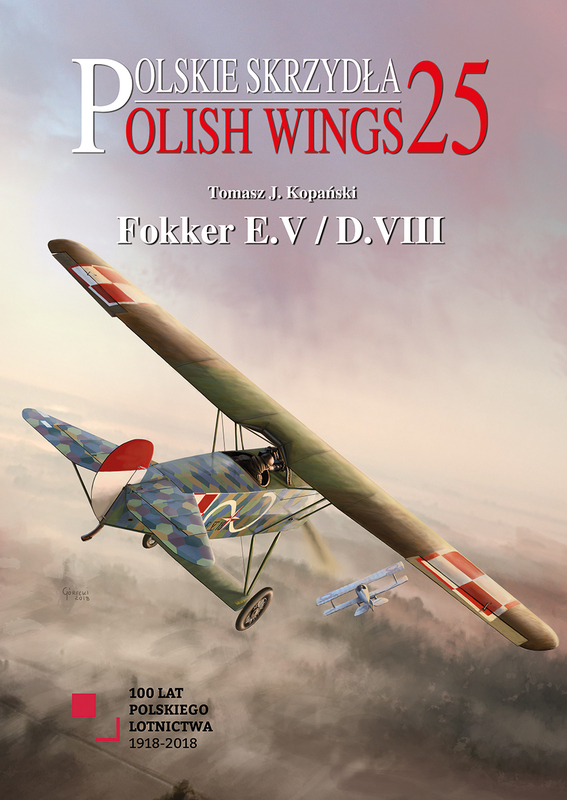 More about Polish Fokkers operational history and markings you will soon be able to read in the Tomasz Kopański’s new book prepared by STRATUS Edition.